24×7-doctor.com was an English online pharmacy that offered a first-class service to its international customers. Their offered service was not just medications as it also included services and checkups from their licensed physicians. 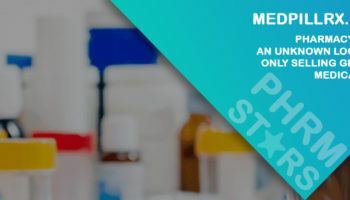 They did not require their customers to provide a prescription when ordering but they recommend an evaluation to ensure safe and effective medication. 24×7-doctor didn’t provide information about their exact location and they did not input their history on their website. The offered drugs of 24×7-doctor.com come from different medical conditions. They offered drugs for men’s and women’s health, medications for pain relief, depression, gastro problems, antibiotics, cholesterol medicines, sleeping aids, anti-anxiety, high blood pressure, asthma and allergy, skin care and hair loss. For their bestsellers, it included Propecia, Cialis, Soma, Xanax, Tramadol, and Levitra. For their men’s health offers, a list of more than 100 brands was available. These were mostly erectile dysfunction medicines, both branded and generic. Most of the generic medications they offered were from India and for their popular ED drugs, it included generic Cialis for $3.17 per pill, Cialis Soft Tabs for $2.63 per tab, generic Levitra for $2.76 per pill, Kamagra for $3.25 per tablet, Cialis Super Active for $1.98 per tablet, Cialis Oral Jelly for $8.90 per tablet, branded Levitra for $13.90, and branded Cialis for $12.22 per pill. Customers of 24×7-doctor were able to place their orders thru the official website only as it is not possible to order via phone. A customer who wants to order can search for the medicine he or she needs, click on it and click on add to cart. All customers need to register and make an account with 24×7-doctor.com before they can place an order. This e-store offered worldwide shipping via Express Mail Service and Registered Airmail. In the US, USPS is also used as a courier. The estimated time of delivery for international orders was between 10 to 17 business days. The cut off time for all order was 4 in the afternoon EST and the store doesn’t process orders on weekend. Shipping cost depended on the orders’ destination. For payments, they only accepted credit card. Once the credit card transaction was approved, then 24×7-doctor will forward to the order to their warehouse for packing and delivery. They also accepted Western Union, wire transfer, and E-Check for payment. All orders can be canceled as long as it has not been out for delivery yet. Once it is out for delivery, customers should wait for it to get delivered then contact the support team. On their policy page, it says that 24×7-doctor.com didn’t accept the return of merchandise because it is against the FDA regulation. All customers were advised to contact the support team for their concerns and issues. The team’s contact information was 1-844-698-3767. They also had a contact us page and an email address for those who wanted to contact them via email. Their email was [email protected]×7-doctor.com. The 24×7-doctor.com operation of 24×7-doctor.com had been cut short in early 2016 based on the information we found from the web archive. Most of their information is still on the web archive yet we are unable to find any customer reviews from third-party review sites. This e-dispensary had their own testimonial page though and here are some of the testimonials they gathered for their site. For the first testimony, it was shared by J. Dean in 2015 and according to him, he was glad he found an online pharmacy that dispenses the medicine he needs without asking him why or without giving him a hard time. This is probably because 24×7-doctor didn’t require a prescription back then. The second testimonial was from Charles Carl who had been suffering from panic attacks. He got his medication from24x7-doctor and was hoping that it will work. Another review was shared by Donald who ordered some pain medications from this e-store and was hoping that will help him too. For the last customer review, it was shared by Treston who was suffering from obesity when she shared her story. She said she was able to cut her weight and lose more than 40 pounds after ordering some phentermine from 24×7-doctor.com. Treston added that she appreciated the help she received from the physicians of 24×7-doctor and how they gave her advice. These were great customer reviews. In fact, we are surprised that a lot of customers were ordering different medications from this e-store. The only issue we have with these reviews is that these were from their own website and that means that the reliability of this reviews was questionable. 24×7-doctor.com is no longer operational this 2018, hence customer reviews for this e-dispensary is no longer available. During their operation, 24×7-doctor.com did not release any coupon codes for their customers to enjoy. What they offered to their customers were discounts and perks. They offered medicines on sale thru their combo packs and they offered a bonus policy to their returning customers. Returning customers were eligible for a 10% bonus pills and another 10% bonus pills to customers who paid using their Visa credit card. 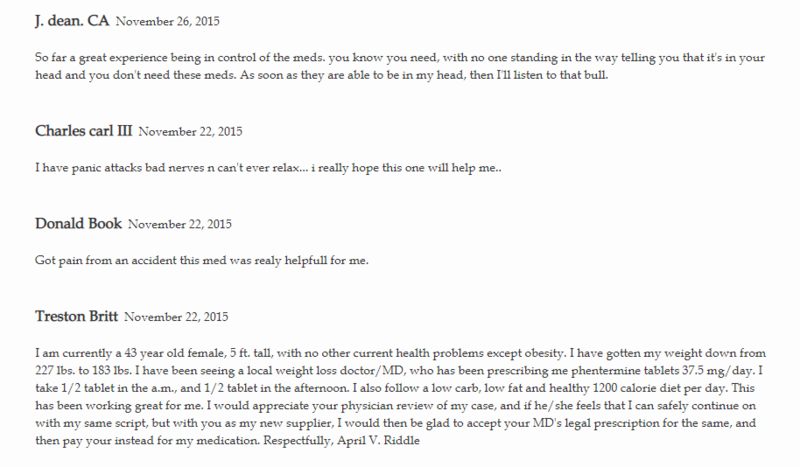 24×7-doctor.com was an online pharmacy with a shady background. They offered a lot of promises but not a single information about its operators, location, or the date when they started operating. The list of medicines offered by this e-dispensary was long, but we find their pricing a bit high. It is higher as compared to other online pharmacies that operated between 2015 and 2016 (the data from the web archive was from the same years). They even offered generic erectile dysfunction medicines for more than $3 per tablet while other e-stores offered generic erectile dysfunction for less than $2 per pill. Lastly, we find their review page suspicious because they are completely controlled by this e-store.